How do you go about transforming a 100+ year old auto company with over 120,000 employees from their traditional methods into the digital, artificially intelligent way of thinking? This is the challenge Renault are currently facing, and one that led to the launch of Renault Digital that started its operations on January 1st of this year and is aimed at digitalising Renault ‘s core business for it’s employees, partners and clients worldwide, working to build tomorrow’s digital abilities and scope. AI isn’t only being used in auto manufacturers for creating self-driving vehicles. There are a whole host of other ways that artificial intelligence is being leveraged to optimise the success of these companies, including risk estimation, predictive maintenance, as well as for customer service enhancements. It is expected that by 2020, there will be 250 million connected vehicles on the road. Last year, group Renault-Nissan and Microsoft signed a partnership agreement to collaborate on the development of future connected services for vehicles. This year, Renault took control of Intel's R&D in France and acquired 400 engineers of the American giant in Toulouse and Sofia Antipolis. An unprecedented operation, which will enable the group to strengthen its expertise in connectivity. Ahead of her presentation at the Deep Learning Summit in London next week, we spoke to Maggie Mhanna, Data Scientist at Renault Digital who will be discussing her work in AI driving the future of connected cars. Maggie’s work focuses mainly on using data science and machine learning algorithms to aid in effective planning and execution of predictive maintenance; predicting what is likely to fail and when it is going to happen. This approach promises cost savings over routine or time-based preventive maintenance, because tasks are performed only when warranted. Maggie and her team are also working on how the customer feedback they collect can be accurately incorporated into the production of new vehicles, guiding future product design, and so forth. 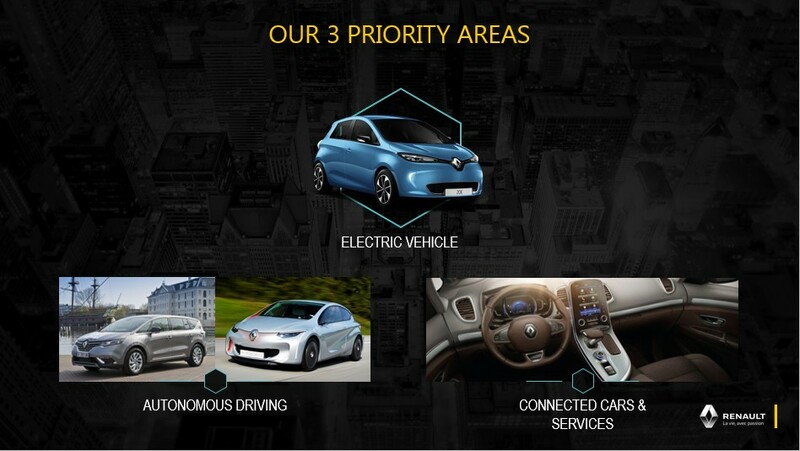 Whilst AI is impacting all areas of auto production, similar to many other leading companies, driverless cars are the main goal for Renault Digital. Before fully autonomous vehicles are available on public roads, advanced driver assistance systems (ADAS) to enhance vehicle safety are a leading focus for Renault Digital with these vehicles operating, in some cases, without human intervention. These ADAS form the starting point for autonomous vehicles, capable of actually instigating decisions on behalf of the driver. Whilst autonomous vehicles are a dominating topic in the news at present, we were interested in hearing about Maggie’s background in the industry, as well as in AI and machine learning. What started your work in AI/ML, and more specifically what sparked your interest in autonomous vehicles? Over the past decade, AI has transformed the world subtly but profoundly. Nevertheless, this has nothing to do with what is expected in the next decade with regard to the innovations currently being developed. In the next 10 years, the AI will make more progress than in the past 50 years. Elon Musk loves to talk about his road-trips and he does it well. By letting people sleep while their car rolls on the highway, autonomous vehicles can make you avoid having to fly over short distances. This is probably the most desirable advantage of autonomous cars, more than the fact that they reduce daily work-home trips. This could totally change the nature of mid-range travel and allow the creation of a new generation of mobile workers who will literally never need to settle anywhere. Today, road accidents are one of the main causes of death and need to be reduced. To this end, automakers want to take advantage of the latest technological advances in the field in order to gradually create cars that become completely autonomous. Therefore, these cars controlled by artificial intelligences can make it possible to optimize road safety and, if possible, achieve the ultimate goal of not having any more victims on the roads in the world. This use of AI will also improve the mobility of disabled or blind people and let them gain independence and autonomy of circulation. What are the key factors that have enabled recent advancements in connected cars? The pace of technological innovation is accelerating, especially the quality of connectivity, the computing power required to operate AI in connected and self-driving vehicles; the evolution of complex low-cost sensors that can make a car act as if it is aware of its surroundings; and the software that binds all of these sensors together. This is encouraging automakers to invest accordingly in new technologies and new services. New high-tech entrants have also changed the game. Apple, for example, is reported to have invested billions of dollars in research operations of an iCar, whereas Google is working on an entire operating system for connected and self-driving cars. Google announced that the company’s fleet of autonomous cars has driven more than 3 million miles on public roads. Meanwhile, other high-tech leaders such as Mobileye are developing vision-based Advanced Driver Assistance Systems (ADAS) that provide, for example, warnings for collision prevention and mitigation. During the next five years, the proportion of new vehicles equipped with this capability will increase dramatically, making connected cars a major element of the Internet of Things (IoT). While some prototypes are already traveling the roads of the United States, Europe or Asia, it is estimated that autonomous vehicles will only represent 15% of sales in 2030. A multitude of actors are launched in the race to the autonomous car. "Traditional" car manufacturers like group Renault-Nissan are obviously on the front line. They are clearly well placed to advance on the technological "bricks" of the autonomous car. Especially since they have the experience of the sector, its industrial processes and mass production - unlike start-ups or digital giants.